"It was definitely a test of patience. We had to constantly remind ourselves that the payoff would be worth it." In 2008, my wife and I seemed the picture of the American dream: We were college-educated newlyweds with good jobs, a nice condo and a brand-new car. But, as I realized one day while looking at our finances, we actually weren’t doing very well at all: We’d racked up $52,000 of student loans, car loans and credit card debt. Once it sunk in, we committed to doing whatever it took to break free—from cutting daily expenses to trading in our new car. I even delivered pizzas part time. It took us 18 months to pay that all off, which gave us peace of mind and more flexibility as a family. Years later, I still remember how it felt to be drowning in debt. I would have done almost anything to help us pay it off faster. That’s a sentiment I share with these five, who went to extreme measures to pay off thousands. Zack, 29, and Jen McCullock, 27, a project manager and nonprofit program supervisor in Oklahoma City, Okla.
Back in 2014, Zack and Jen McCullock were busy paying down $50,000 of debt they’d accumulated from student loans, car loans and medical expenses. They’d successfully cut enough costs—by swapping insurers, getting their phone bills covered by work and downgrading their cable package—to pay off about $6,000 in three months. Still, they felt their $800 rent payment was standing in the way of faster progress. One night over dinner, Zack brought up the idea of temporarily living in a camper. “We weren’t making much progress, so I thought, let’s do something extreme,” he says. Though they initially brushed it off, some quick calculations showed this could help them eliminate their debt within the year. So they put a plan in motion: They purchased a $3,400 camper (using cash from savings) and spent about $300 on small renovations. Then they sold some belongings, put others in storage—and moved into the 100-square-foot camper. 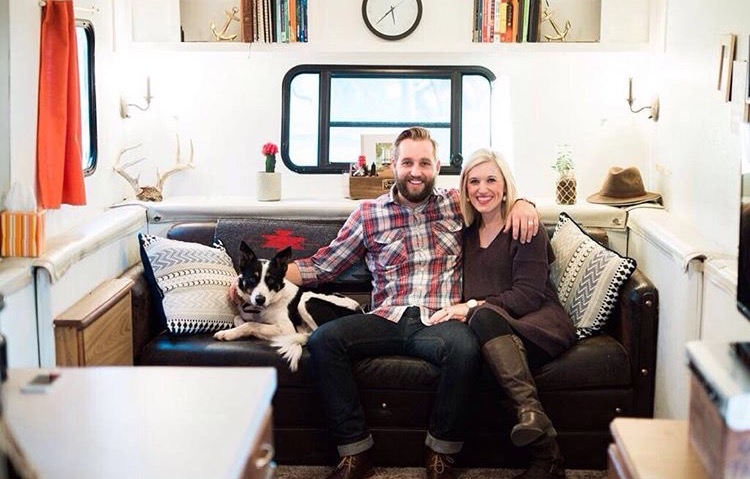 And, they say, it was: After 11 months, the McCullocks sold the camper—for three times the amount they’d purchased it for—and used the proceeds to submit their last debt payment. They celebrated with the nice dinner they’d been looking forward to for months. They’ve since moved into an apartment in downtown Oklahoma City, but are still focused on living simply in order to hit their financial goals. They’re on track to max out their retirement accounts and look forward to using some of their freed-up funds to travel more.